Chatbots are simply programs built to automatically engage and receive messages from users. They can be as simple as bots that can tell the weather all the way to complex AI bots that can analyze large datasets and respond to natural language questions with that information. Chatbots appear in a ton of different shapes and sizes. There are bots that live on platforms such as Facebook Messenger, Skype, Slack, or even on your own website. 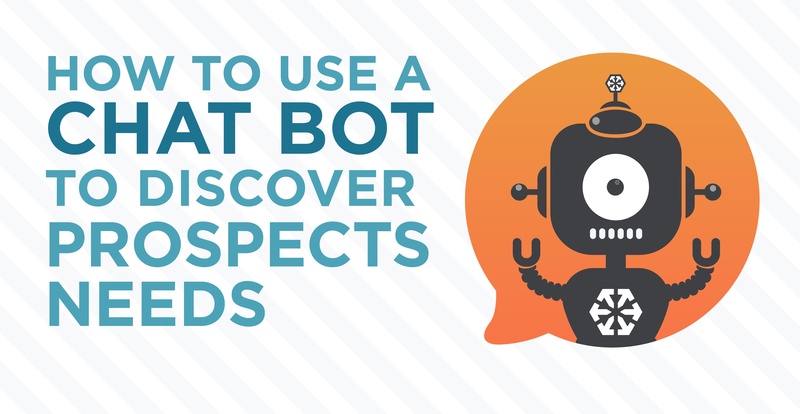 No matter the platform (or platforms) you use to host your bot, your bots needs to be on brand and most importantly, able to discover your prospect's needs. Whatever the function of the bot, the key is that your users are prompting the conversation. It may be tempting to have your bot initiate, but sometimes your prospect may not be ready to interact with you, and that's okay. Your bot can be visible and accessible, but needs to provide actual value and serve as the most direct line between their problem and your solution when the prospect is ready to interact. Your bot can either be the helpful assistant who is available to answer any question about your product, or it can be the used car salesmen who will not leave your prospects alone and has a not-so-hidden agenda. What Does a Chatbot Actually Do? The ultimate mission of any bot is to provide a service people will actually want to use to answer questions. Prospects who talk with chatbots are already familiar with your brand and are reaching out with specific questions that you can solve. Be sure to capitalize on that interest. Having your buyer personas identified and planned out will help to ensure that your bots are fitting your customer's needs when they interact. Chatting with a bot should feel like talking to a human that knows everything about your products and services. That may seem daunting to design, but once again, this is where having buyer personas and strategy will help inform the bot design. A CFO persona may ask about cost, pricing, and ROI, while a CMO persona may want to know more about engagement levels and conversion rates. Really knowing your personas, the questions they may ask, and what they care about will allow you to know the questions they will ask about your product before they ask it. When it comes to the design itself, chatbots are actually simple to setup. The majority of hosting services are built to allow for simple conversation tree mapping. Most popular Bot services don't even require writing a single line of code. Designing a chatbot is as simple as ordering a list of if-then statements and writing the canned responses. For example, if your CMO persona has a query that contains the phrase "conversion rates," your chatbot could read and respond with a blog post about typical conversion rates found with your product. On the other hand, if a CFO asks about price, the bot will provide a link to a pricing page or will ask to put the visitor in touch with sales for a quote. What About Chatbots for SaaS? Synergy Tools Inc sells a B2B business solution for data management. They have been utilizing a chatbot to assist CTO and CFO buyer personas specifically as well as general tier 1 support on their website. Synergy Tools utilizes a website bot to be sure to meet their customers where they are in the sales journey. This bot "pops up" with a quick message when users scroll 30% through a page. The website bot is setup to answer general questions about the tool as well as targeted questions from CTO and CFO personas, which are their main target personas. The ultimate goal for the bot is to get a demo booked, so each interaction has an ending point to direct customers to a demo booking calendar. They also have a Skype, Slack, and a support page bot for consumer tier 1 support. Their data management tool also has a link to the support bot. This bot answers basic troubleshooting questions before sending the user to the appropriate support personnel. Did you know that 80% of companies would like to implement the use of chat bots by 2020? Our experience shows that is completely true, but they must be correctly to improve customer service. 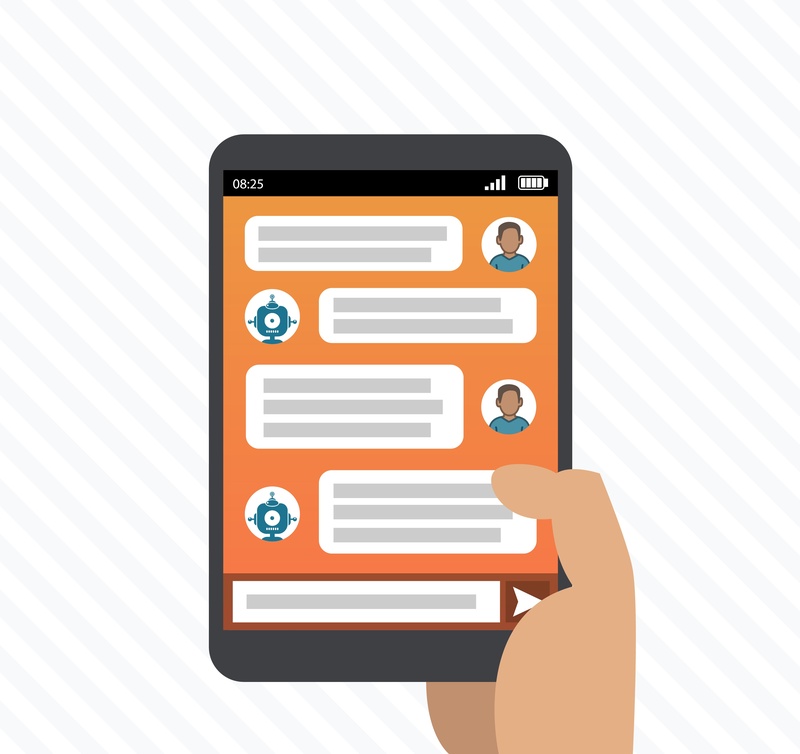 Chatbots are great for conversion, support, and information – and when utilized properly, chatbots are like having your best sales and service people available for your prospects and customers 24/7. When used correctly, chatbots help turn customers to evangelists.